Smoke indoors or outdoors with this down to earth ashtray by Craftsman's Bench. It uses a natural finish, and can hold up to two cigars at once, one on each end. 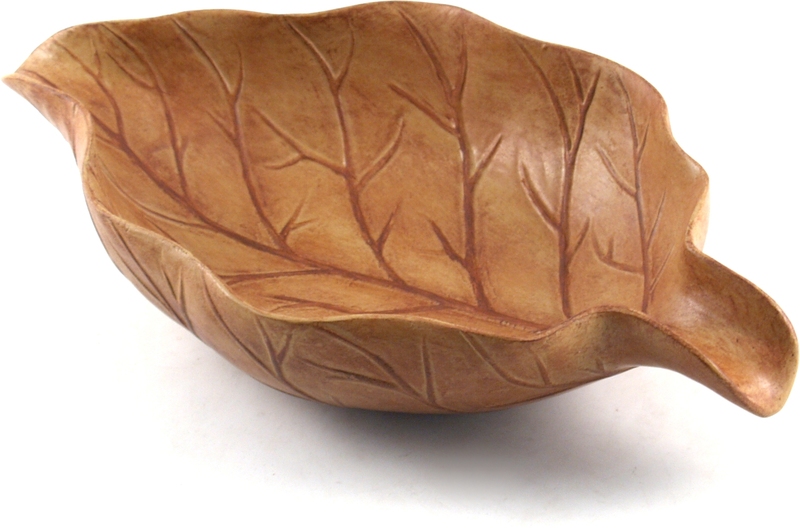 Featuring a rich tan color, it is designed to look like a leaf. The ashtray has a nice weight to it, and has thin silicone pads on the bottom to prevent surface scratching.